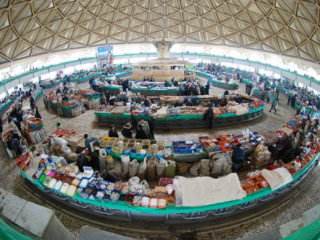 Nurata is a city at the center of Uzbekistan in Central Asia, not far from the famed city of Samarkand. Nurata is the cultural, economic, and administrative capital of Navoi Province in Uzbekistan, and it lies at Nuratathe base of the scenic Nurata Mountains. Some historians believe that Nurata was founded by Alexander the Great in 327 B.C., and the remains of a water system and military fortress from the time are partly still used south of Nurata today. The fortress is made up of multiple areas, including an inner town, large walls, and towers, and was strategically located between farmlands and wilderness. This complex is one of the most important historic monuments in this area of Uzbekistan. NurataThe water system near Nurata supposedly built by Alexander the Great is also impressive. It is a unique underground pipe system running from natural springs through multiple wells that cleaned the water as it passed. Parts of the pipe system have been restored and are used by residents of Nurata today. Nurata is also a major pilgrimage city. A Muslim scholar in the 943 A.D. wrote that many holy people buried in Nurata saw the Prophet Muhammad. 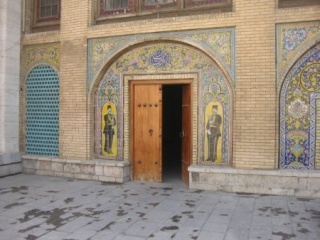 Pilgrims visit Nurata and its holy graves today, especially a complex with a fresh spring, a mosque, an ancient bazaar, and bathhouse. The mosque was built around the spring and is an impressive piece of architecture with forty columns and one of the largest domes in Central Asia. Pilgrims and tourists come from Uzbekistan and all over Central Asia to visit the site. NurataStay in a Kazakh yurts near Nurata and enjoy camel safari and swimming at Aydarkul lake!